Badminton, the world’s fastest racquet sport is played using racquets to hit a shuttlecock across a net. It is the second most popular sport in the world after football. It is governed by Badminton World Federation (BWF), the internationally recognized governing body of the sport. The game of badminton was probably originated more than 2000 years ago in Europe & Asia. Its earlier variant was known as battledore (bat or paddle) and shuttlecock. To hit the shuttlecock (also known as shuttle or birdie) over and across the net on the opponent’s court so that the opponent can’t find time to return it back and score a point. One player on each side in “singles” matches & two players on each side in “doubles” matches. It is played by both men as well as women. 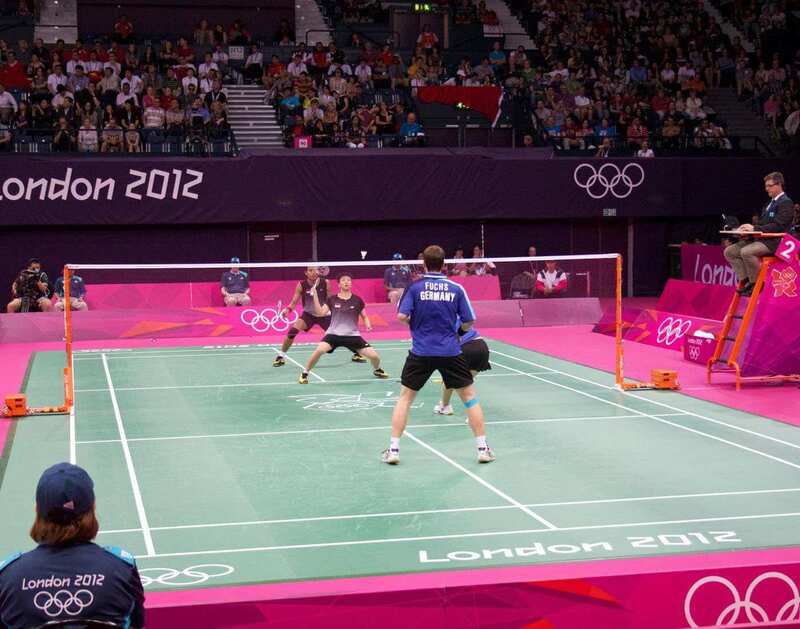 The court is rectangular, i.e., 17 feet (5.18 metres in width) by 44 feet (13.4 metres in length) for singles matches and 20 feet (6.1 metres in width) by 44 feet for doubles matches. The overall court is divided into halves by a net (dividing the length of the court). It measures 5 feet high in the center and 5.08 feet high at the posts (edges). The two uprights of the net are always positioned on the doubles sidelines, even when singles is played. The singles sideline, i.e., the edge of the court in the singles game is 1.6 feet inside the doubles sideline. The center line divides the width of the court & marks the left and right service courts. The short service line is 6.6 feet from the net. The long service line for doubles is 12.75 feet behind the short service line (2.6 feet from the back boundary). The long service line for doubles is 2.4 feet ahead of the long service line for singles. The long service line is also called the back boundary line. 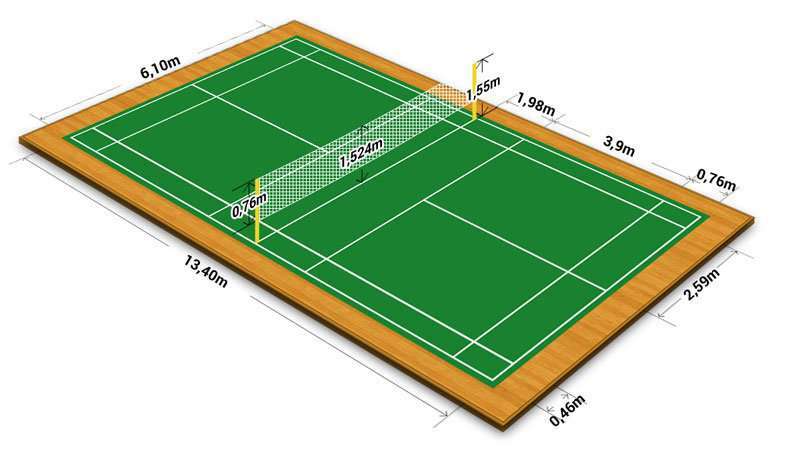 The surface of a badminton court consists of a sprung, often plywood, the floor beneath a vinyl covering or strips of treated hardwood. She is a former World No. 1 Indian professional badminton singles player who has won over 20 international titles. 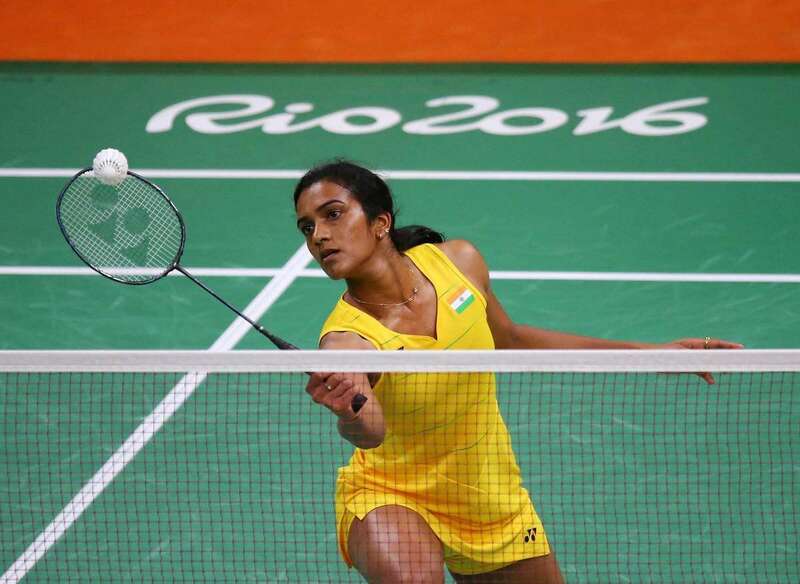 She is a professional badminton player from India who became the first Indian woman to win a silver medal at the Olympics (in 2016 Rio Olympics). 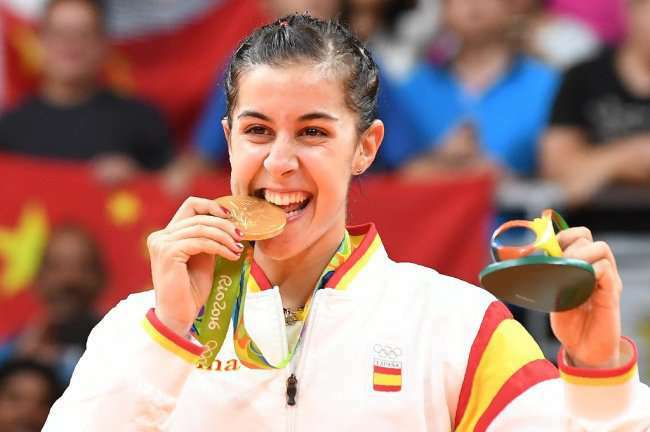 She is a professional badminton player from Spain who is the 2014 and 2015 world champion and 2016 Olympics champion. He is a badminton player from Malaysia who was ranked 1st worldwide for around 199 consecutive weeks from 21 August 2008 to 14 June 2012. She is a badminton player from Taiwan who at the age of 16 became the youngest no. 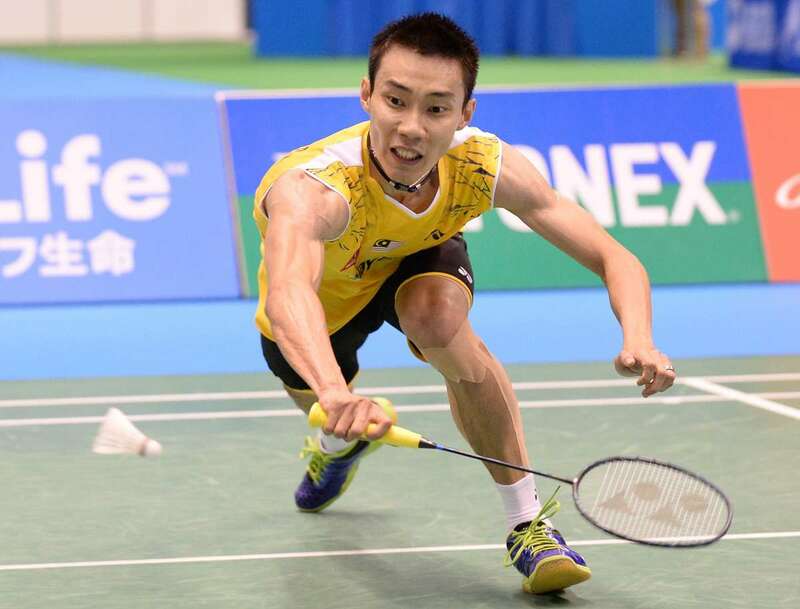 1 player in the Taiwan badminton history and became world’s no. 1 in women’s singles in 2016 December. He is a former badminton player from India who has won a number of honours for his country in the sport of badminton. 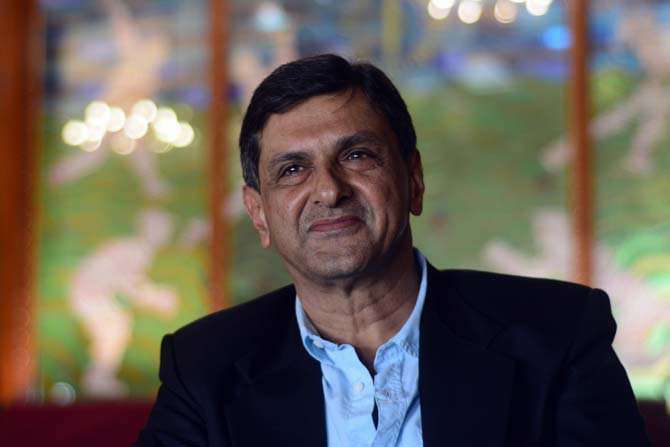 He was also honoured with 'Arjuna award' in 1972 and the 'Padma Shri' in 1982.